Are you Giving Wisely this year-end? It’s that time of year again when we gather to give thanks to friends and family, to celebrate our achievements for the year, and to give to those organizations most in need. For many of our readers, this means considering a number of different equine organizations for final year-end gifts. 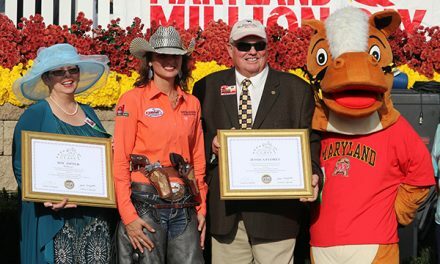 There are countless worthy equine charities in both Maryland and across the United States. Sometimes, however, the process of selecting the charity that you feel most passionate about and comfortable giving to can be daunting. Fortunately, there are many great resources available to you to make sure you are working with and giving to a legitimate cause! National organizations (such as GuideStar and Charity Navigator) have become watchdogs for all types of charitable giving, providing useful information to the general public. Uninformed donors are easily confused by charities that have strikingly similar names to others. Many names are nearly identical, but their performances can be vastly different. Always double check the Charity Navigator ratings! An organization could have a 0-star charity rating while a charity with a similar name could be rated 3-stars. Informed donors take the time to uncover the difference. In our world, the most common “sound-alike name” problem is with any organization that utilizes the phrase “humane society.” The phrase “humane society” is used by lobbying organizations as well as hands-on shelters and rescues; it is employed equally by animal rights political activists and official local government animal control offices. Wise donors don’t drop money into canisters at the checkout counter or hand over cash to solicitors outside the supermarket. Situations like these are irresistible to scam artists who wish to take advantage of your good will. Smart givers only support groups granted tax-exempt status under section 501(c)(3) of the Internal Revenue Code. All of the charities evaluated by Charity Navigator meet this basic requirement. We cannot stress enough how important it is to ensure that an organization has a confirmed 501(c)(3) status and is registered with Maryland’s Secretary of State https://sos.maryland.gov/Charity/Pages/default.aspx. In order to solicit donations in Maryland, Maryland law requires that an entity (including a bank account set up to help defray medical costs) must be registered with the Maryland Office of the Secretary of State. If an entity is not registered, do NOT give it money, as it is breaking the law. There are some entities that can legitimately accept contributions without being a charity (such as a bank account temporarily set up to collect funds to help defray immediate major medical costs for an injured rider), so long as that entity is registered with the Office of the Secretary of State. To find out if an organization to which you wish to contribute is legitimate, check with the Office of the Secretary of State. Both GuideStar and Charity Navigator have tools for assessing the accountability and transparency of a charity. This data is critical because charities that follow good governance and transparency practices are less likely to engage in unethical or irresponsible activities. So, the risk that such charities would misuse donations is lower than for charities that don’t adopt such practices. In Maryland, equine rescues and horse sanctuaries are required to be licensed by the Maryland Horse Industry Board. If the facility is not licensed but is sheltering horses that are ostensibly rescued or is adopting out horses, you may wonder about other ways in which the facility may be noncompliant. 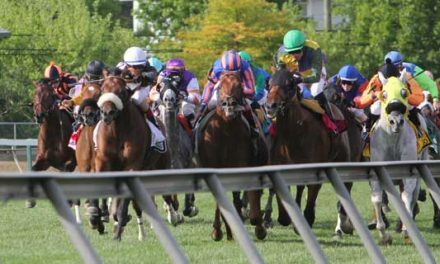 Licensed stables can be found at https://mda.maryland.gov/horseboard/Pages/horse_board.aspx. Also, if the rescue is soliciting donations, check to see if it is registered with the Maryland Office of the Secretary of State. Savvy donors know that the financial health of a charity is a strong indicator of the charity’s performance. They know that with most programs, the most efficient charities spend 75% or more of their budget on their programs and services, and less than 25% on fundraising and administrative fees. They also understand that a claim of zero fundraising and/or administrative fees is unlikely at best. They understand that a charity’s ability to sustain its programs over time is just as important as its short-term day-to-day spending practices. Savvy donors also seek out charities that are able to grow their revenue at least at the rate of inflation, that continue to invest in their programs and that have some money saved for a rainy day. All horse rescues, equine sanctuaries or therapeutic programs should be willing to provide their financial records, even if unaudited. So as you gather this holiday season and reflect on your good fortunes of the year, remember those in need, specifically our Maryland horses. If you have not yet heard of the Maryland Horse Council’s Maryland Equine Transition Service, we urge you to learn more about the work that we are doing at www.mdequinetransition.org. The Maryland Equine Transition service is truly the first of its kind because it is a statewide initiative, developed and supported by the equine industry, to ensure that safe alternatives for horses needing homes are available and accessible to all owners who need the service. The Maryland Horse Council (MHC) was the first horse council in the United States to support the S.A.F.E. Act, proposed federal legislation to prohibit shipping horses to Canada and Mexico to be slaughtered. In doing so, MHC recognized the corresponding need to create safe alternatives for horses that, for many reasons, may end up at-risk. In June 2017, members of MHC met with representatives from The Right Horse Initiative to discuss a potential partnership. In August 2017, about a dozen industry professionals met to brainstorm possibilities. It was at this meeting that the concept for METS was born. The Right Horse Initiative awarded MHC a generous 3-year grant to pilot test the program in early 2018. METS is making history and is a win-win-win for horses, owners, and the equine industry. You can make donations online at https://mdequinetransition.org/donate/.